When someone orders pancakes or French toast for breakfast at a restaurant and eggs come with order, the server usually asks, “How would you like your eggs?” Well when it comes to traveling, the question could be asked, “How do you want your travel hardships and inconveniences?” because hardships and inconveniences naturally come with traveling. To be noted, blaming, regrets and such thoughts hurt instead of help. While being always optimistic may seem unrealistic, keeping a flexible schedule and rising above difficulties to enjoy the trip regardless is invaluable to a travel experience. Sometimes people travel to a city for a special event and the event gets cancelled. Other times, they book a hotel and end up needing to change rooms or hotels. Being flexible and willing to accept alternatives and still have fun is so important because changes do occur. The strange city where the event is cancelled has something else to see or attractions nearby that are of interest. The new room or hotel will have comfortable beds and they might even be better than the place originally booked. Nothing seems to put more of a damper out of traveling by car than car trouble or an accident. Still, the downtime can be a chance to really prove the sunnier side. Those stuck can find something to do in the area while waiting for the car. Some unexpectedly pleasant and interesting experiences can happen while waiting. The best way is to get to know the people who help and appreciate them while being thankful for anything in the situation that is good. The obvious sunnier thought for this inconvenience is that the travelers have avoided a tragedy in the air. Internet and telephone connection with the world and loved ones at home help to make the delay easier. The forced waiting gives time for reading, relaxing and finding amusement in the surrounding airport activity. While electronic navigational devices help to avoid these events, getting lost still does happen. Perhaps no device is present; it is not working, or it has made a mistake. Taking deep breaths are necessary especially when late for an appointment because panicking is not helpful. Sightseeing, keeping focused on solutions and keeping in mind that this will have an end helps take the stress out of the atmosphere. Major and minor illnesses and injuries are more challenging away from home. The trip or vacation may seem ruined, but the traveler or group can get the mind off the pain and unpleasantness by finding laughter somehow. Then, something pleasant to read or dream helps people who are hurting to gain a positive perspective. When people have trained themselves to get upset when things do not run perfectly, the vacation trip and life is bound to be upsetting much of the time. Still thinking realistically, the person who chooses to get upset and the one who chooses not to get upset may both go through the same circumstances. Obviously, one of them comes out much better off in the end because of the chosen mindset. Habits do run deep and people need to give themselves time to change a mindset that is deeply rooted. However, most travelers can come to a place in their mind that allows them to take sunny side up whatever difficulties arise. This article was written for www.hotelcirclehotels.com by Kevin Caldwell. Kevin built hotel circle hotels to help people find deals on hotels near hotel circle in San Diego. 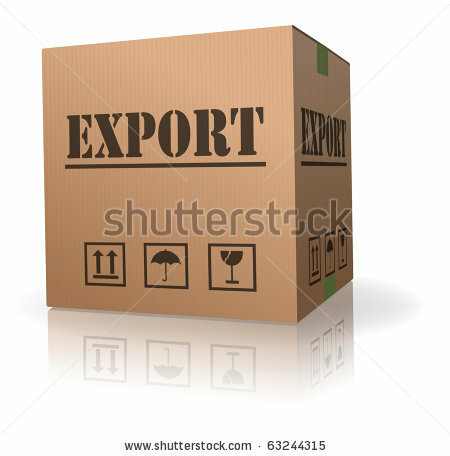 What Are The Steps Of Exporting Your Cargo?